Today's air quality is, again, expected to be less-than-ideal. Buckle up for the long haul, because the smoke is probably going to be with us for quite some time. "Just so we're all starting on the same page, it's not cloudy outside, folks. That's smoke. The massive band of Canadian smoke that was in Washington yesterday has started to move over western Montana. It is thick enough that it's obscuring everything else on the satellite photo and is complicating the process of determining which smoke is influencing which air monitor. The good news is that it's still relatively far overhead. However, we are currently benefiting from a relatively low mixing height. Typically, we don't care for low mixing heights - they keep our locally generated pollution close to the surface, and no one wants that. Today, however, there is a heck of a lot of pollution above that layer. When our mixing heights increase later today, and if they reach the height of the smoke, any Canadian smoke that is overhead will be pulled down to ground level, and air quality will plummet. The big question is really how much Canadian smoke will still be overhead when that happens. If the bulk of the smoke band has moved past us, we may escape the worst impacts. " But Sarah," you say, "The wind is from the east! Why is the Canadian smoke headed for us?" Well, yes. Currently, the surface and transport winds are from the east and they are influencing local smoke plumes. However, the total flow aloft is still from the west, and that is sending the Canadian smoke toward our region. In addition to the Canadian smoke, we are still surrounded by active fires. The Rice Ridge, Sunrise, Sapphire Complex and Hidden fires were all active enough last night to produce heat signatures that could be detected by satellite. The easterly transport winds will likely send Sapphire Complex and Meyer fire smoke toward the Bitterroot today, and Rice Ridge and Liberty smoke may be headed for the Arlee area. Air quality in Missoula is Good, and air quality in Lolo and Florence is Moderate. These conditions will likely deteriorate by this evening. Air quality in Arlee, is Unhealthy. Arlee has been dealing with smoke from the Liberty Fire (and potentially the Rice Ridge Fire) all night. Seeley Lake had a relatively decent start to the early morning before smoke filtered down into the valley causing conditions to briefly deteriorate to Unhealthy levels. Happily, air quality in Seeley Lake is are swiftly improving toward Unhealthy for Sensitive Groups and Moderate conditions. When air quality is Unhealthy, people with heart or lung disease, smokers, children and the elderly should limit heavy or prolonged exertion and limit time spent outdoors. People with asthma should follow their asthma management plan. People experiencing symptoms of heart or lung disease associated with smoke exposure should contact their health care provider. When air quality is Unhealthy for Sensitive Groups, people with heart or lung disease, children and the elderly should limit prolonged outdoor exertion. Overall, it's going to be a day of highly variable air quality. Here are your current conditions: Arlee - Unhealthy Missoula - Good Lolo - Moderate Florence - Moderate Rock Creek - Good Frenchtown - Moderate Seeley Lake - Unhealthy/Unhealthy for Sensitive Groups Clearwater - Moderate There is a slight chance of some moisture in the Seeley Lake area and over the Sapphire Mountains. If it we do see moisture, it may help clear out some of the smoke, as the particulate makes an excellent nuclei for forming precipitation." 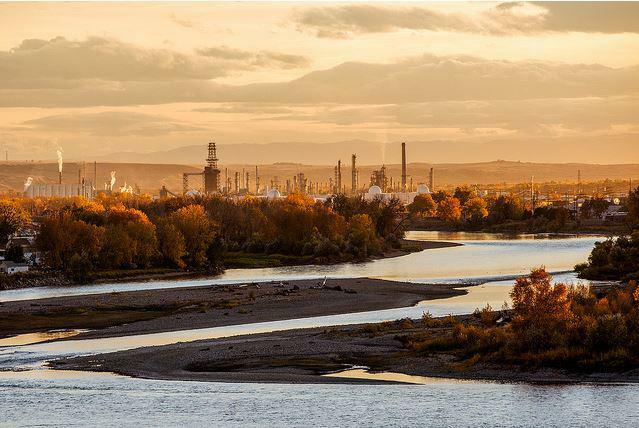 Yesterday, the Billings Gazette reported that three oil refineries and a sugar beet factory in town are not polluting the air. They interviewed a couple of staff from nearby facilities but did not talk to David Klemp– Air Quality Bureau Chief for the Department of Environmental Quality– the guy who's in charge of this information. 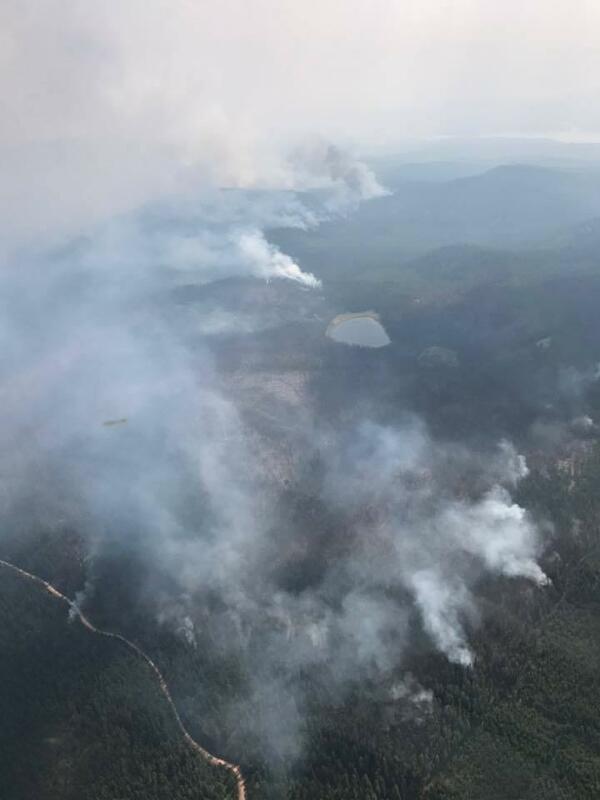 The Lodgepole Complex Fire is nearly 100 percent contained, and now work is shifting to rehabilitate the impacted land. The Department of Natural Resources and Conservation’s Mark Bostrum distributes money to impacted wildfire areas as the administrator of conservation and resource development.